Romance is in the air and the world is filled with stunning destinations for the perfect romantic getaway this February. Here are 10 of the very best travel related Valentine’s Day ideas from Quintessentially.com, a luxury lifestyle management service, that will seriously impress your lover this year. If you’re brave enough to stay, these crystalline pods are accessible only after climbing 400 meters (about 1,300 feet) of the rock face or hiking a daring trail featuring a zip-line network. Once you settle down for the night, you’re treated to impressive panoramic views of the wild valley below and, at night, the Milky Way. Feel like you’re on top of the world (literally) during a one hour scenic flight above the iconic peaks of the Himalayas and Mount Everest. 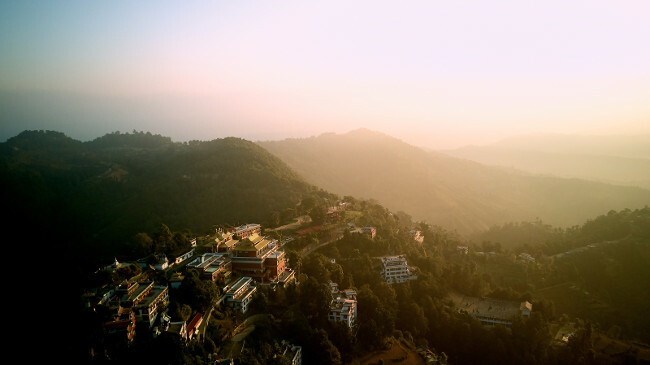 Depart from Kathmandu aboard an 18-seater plane, soaking up views of more than a dozen majestic mountains from above, including the towering 29,029-foot (8,848-meter) Mount Everest. 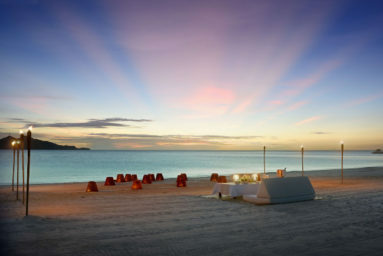 Escape to Amanpulo, a private island resort in Palawan Philippines which is ringed by a white-sand beach and coral reefs in the Sulu Sea. Just across the mountain from Telluride, Dunton Hot Springs Resort is a romantic ghost town, set in an extraordinary alpine valley. The entire town or ranch can be rented exclusively and is the ultimate luxury isolation. The Giraffe Manor is an exclusive boutique hotel, set in 12 acres of private land within 140 acres of indigenous forest in the Langata suburb of Nairobi. As one of Nairobi’s most iconic buildings. It has extraordinary appeal, that harks back to the 1930s when European visitors first flocked to East Africa to enjoy safaris. 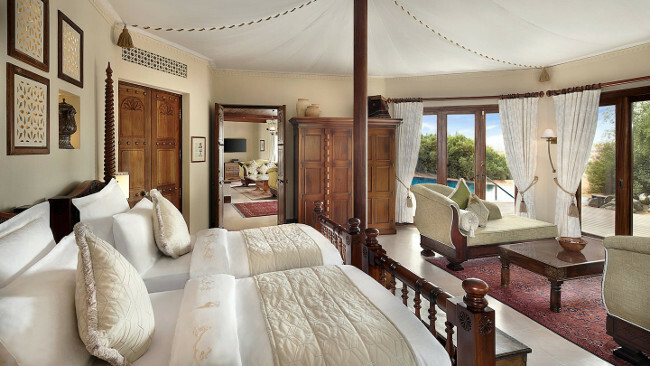 With its stately façade, elegant interior, verdant green gardens, sunny terraces and delightful courtyards, it’s like walking into the film Out of Africa: indeed, one of its twelve rooms is named after the author Karen Blixen. It is through reconnecting with nature that one’s humanity can be discovered. 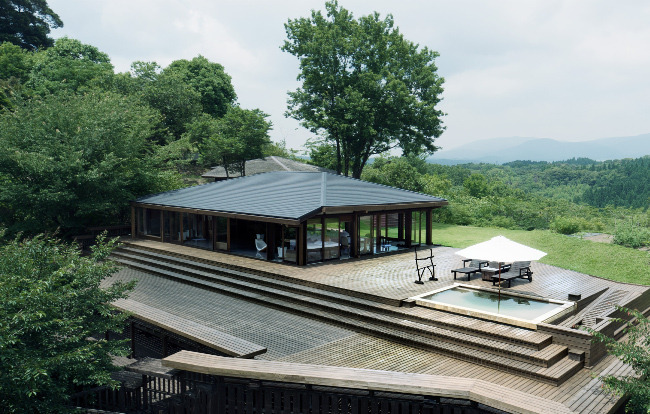 Driven by his vision, the site’s owner has spent over twenty years landscaping the woods and hills, excavating the hot springs, to give birth to this rare place. Set deep in the four seasons forest and overlooking the volcanic mountains of Kagoshima, a handful of discreet villas welcome those in search of serenity. Villa North/Villa 11 is perched on the granite boulders at the far end of East Beach and is the quintessence of privacy and seclusion. The sheer volume, scale and luxury of this villa are unimaginably decadent as it spreads out across multi-tiered levels, cascading down through a coconut grove, with direct beach access to the ocean below. At 750sqm (just over 8 000 square feet), Villa North Island offers ample room for your mind to float free and for all your island fantasies to become a stylish, spacious reality. Located in the heart of Botswana’s Okavango Delta, Mombo Camp is the flagship property of the Wilderness Safaris. Mombo camp is widely recognised as the finest safari camp in Africa with its incredible game concentrations and interactions as well having a unique approach to luxury hospitality. Consistently voted one of the best hotels in the world and a true desert oasis. Al Maha is an opulent oasis of serene comfort and Arabian style in the middle of the Al Maha desert. Bedouin tents become lavishly-appointed guest suites with their own private chilled pools and spectacular views as vast and far as the eye can see. Luxurious decadence is what this dessert is all about. You can get the Fortress Stilt Fisherman Indulgence at the DUO restaurant, Fortress Resort and Spa. This amazing dessert will set you back about $14500 USD and yes, orders need to be placed in advance. The dessert is made with gold leaf Italian cassata, flavoured with fruit-infused Irish cream and it also comes with a handmade chocolate carving in the shape of a local stilt, a fruit compote and Dom Perignon champagne sabayon at the base, as well as an 80 carat Aquamarine gemstone. Luxurious indeed. 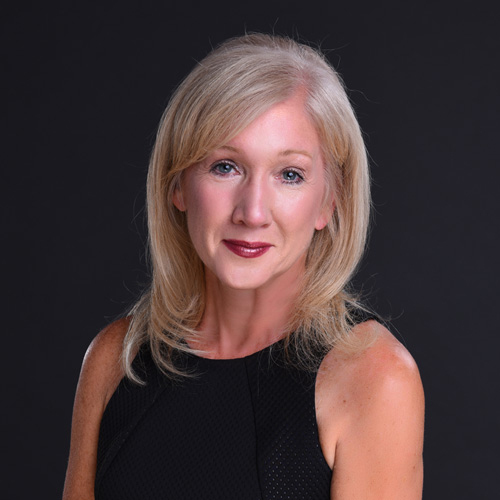 Sotheby's International Realty Canada, Brokerage. Sotheby's International Realty® is a registered trademark licensed to Sotheby's International Realty Affiliates, Inc. Each Office Is Independently Owned And Operated.